WARNING! 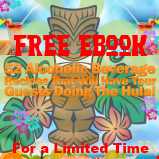 This page will have you doing the hula!!! 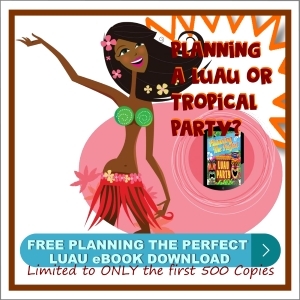 Ready to shake your hips at your next luau party? Want a beautiful Hawaiian skirt you can wear any time? 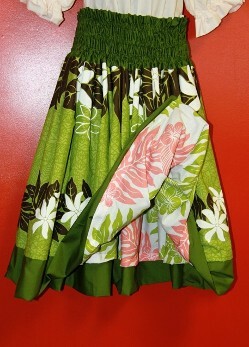 Get your hula on with beautiful Hawaiian hula skirts!!! 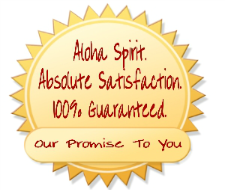 One of the most eminent features of Hawaiian culture, is the contagious spirit of Aloha emanating from its people. Captivating & traditional at once, our Hawaiian pa'u hula skirts feature bold, colorful & floral prints inspired by the beauty of Hawaii & the story-telling dance of hula. Our pa'u skirts are designed & made in Hawaii. A Hula Skirt Or A Pa'U? The pa'u skirt is the quintessential garment for the hula dancer. You will see this gathered at the waist, calf-length skirt worn as the costume in nearly every traditional hula number in the kahiko ...ancient style of hula. The skirt may be of unadorned solid color poly-cotton, it may be a calico print or it may have a hand printed border at the hem of the skirt. There are many variations on the basic theme. Some pa'u skirts have a single casing at the waist. This is for the cording which runs through it to tie the garment to the waist of the dancer. Others have several rows of casing so that several cords are inserted and tied one-by-one at the waist. Some pa'u skirts use elastic rather than cording. There may be one row of elastic or there may be 5 or more rows of elastic at the waist. Fast Shipping! Wow - I don't think it could have arrived faster if it came by rocketship – right from Hawaii! Service With a Smile! Awesome customer service. Answered all of my questions completely. Love My Look! I feel beautiful in this pa'u skirt. So comfortable! Choices Choices Choices! Awesome selection! So many flowers, colors, and styles to choose from! Authentic Hawaiian! Love knowing that my items are made in Hawaii. 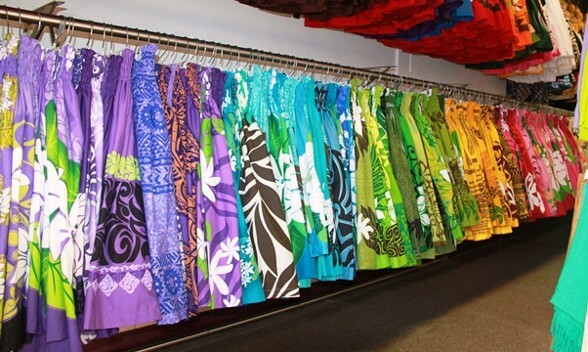 When it comes to our Hawaiian hula skirts, there are countless styles available. There are hula skirts in every Hawaiian flower including Plumeria, Hibiscus, and Orchid. There are hula skirts in every tropical color including pink, turquoise, lavender and yellow. There are single pa'u skirts and double pa'u skirts. The combinations are endless. Wearing your beautiful hula skirt will certainly make heads turn your way. Pick your favorite Hawaiian hula skirt NOW! Kapo Trading is a your Hawaiian products company offering Hawaiian clothing, decor and other unique gifts in the Aloha Spirit! 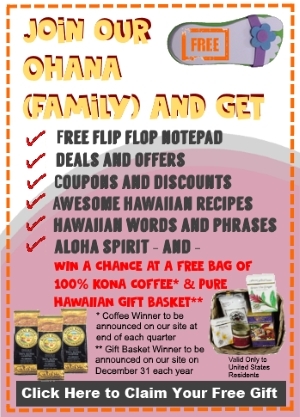 Select from a full line of authentic Hawaiian clothing, products, Hawaiian gift baskets, and 100% Kona coffees.